The moment you snap a picture, it belongs to you. You don’t need to register your image with the US Copyright Office to own the copyright or demand money from someone for using your stolen pictures. However, a registered image will make you eligible for statutory damages and attorney’s fees. 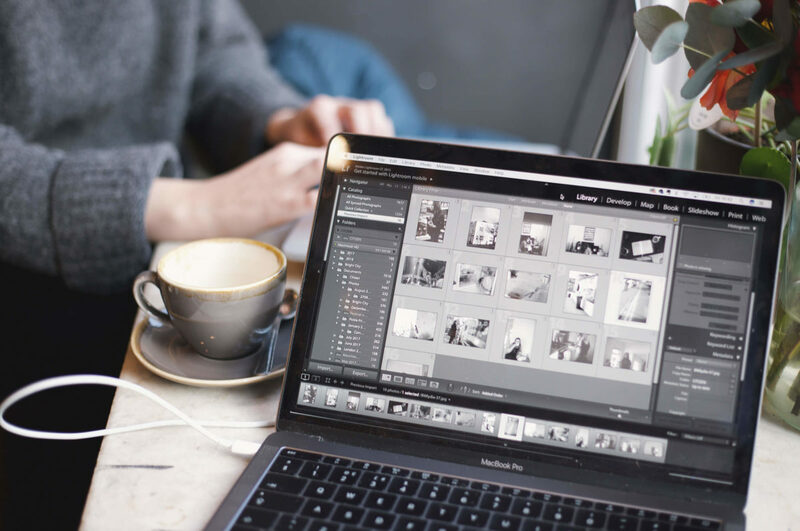 Whether you’ve registered your images or not, here are 8 things you need to know to fight stolen pictures. Search engines like Google and Bing as well as the site Tineye (but not Yahoo) offer reverse image search. Once you uploaded your photo(s) or plugged in an image URL, these websites will find out who stole your pictures and uses them without your permission. Reverse.photos offers you reverse image search via your phone or tablet. 3. Have your images been used under fair use? Before you accuse someone of stealing your pictures, you will have to determine whether or not the images were used under fair use, meaning “for purposes such as criticism, comment, news reporting, teaching (including multiple copies for classroom use), scholarship, or research” (17 USC Section 107). If you discovered a brand reposting your picture on Instagram, even if they properly credited you, it’s a copyright infringement. Don’t shy away from confronting them. Ask them to take down your image and demand a payment you seem fit. They are using your content to make money; thus, you deserve part of this money. Credit doesn’t pay your rent or equipment! That’s why reputable brands will always pay if they’re using your content or pay you to create content. 5. What if someone stole pictures I created for someone else? This would fall under a “work made for hire,” as Section 101 of the US Copyright Act defines it. Thus, even if you as the photographer created the work, your work and with it its copyright belongs to your employer. First things first, screenshot the website or app post on which your image has been used and save it as proof. You can search for the contact information on the website or use Who’s Hosting This to find the person responsible for the website. Then write a letter to the responsible person to take down your image. If you have registered your images via the US Copyright Office, you can file a claim with them. You can also use LAPIXA, especially if you decide to take legal action against an image thief. LAPIXA will not only help you with finding your images via reverse image search, but also claiming your rights – internationally! All you have to do is upload your photos and we take care of the rest. 7. What consequences will follow someone who stole your pictures and how much can you earn from illegally used images? If you can prove that someone illegally violated the copyright of one of your image, i.e. not used it under fair use, the person will have to pay you any amount between $200 and $150,000 for each image infringed. He/she will also pay all court and attorney fees and may even go to jail. You as the rightful owner of the image may have to pay up to $3,000 for a threat letter while a following trial may result in a six figure amount. However, there is a solution with which you don’t have to pay a single penny out of your own pocket. If you want to find out if one or more of your images have been used – or even sold – by someone without your permission, LAPIXA can help you. Simply upload your photos to our website and our search algorithms will let you know where your images appear on the web, even if they have been edited, cropped, or otherwise altered. Once we noticed a copyright infringement, you can decide whether or not you want us to take over from here and enforce your image rights. From here on out, your work is done and we take care of the rest. Thanks to our international team of lawyers and our helpful staff, we at LAPIXA are committed to getting you the money you deserve from people who are unlawfully using your images. What are you waiting for? Start here by uploading your pictures and see if they’ve been used without your permission, so we can get you the cash you deserve!